to have your company information listed on this page. We provide cost-effective web design solutions for our small business clients. We specialize in corporate website design and makeovers, e-commerce websites, all kinds of Content Management Systems and customized software solutions that increase productivity and profitability for our clients. JFA Insurance has provided quality service to our clients for 34 years, satisfying all their insurance needs. As an independent agency, we provide quotes from over 100 insurers. We actively shop all markets , providing you with excellent service and competitive pricing,so you won't need to change brokers as your insurance and service needs change. Offering complete claim assistance,our knowledgeable, professional staff is always available to answer your questions and review your files annually. At Fairway Independent Mortgage Corporation as a Fannie, Freddie & Ginnie Mae Direct lender with branches in 50 states, in addition to competitive rates, low fees, & excellent customer service, we offer an unprecedented clear-to-close policy on purchases. Find out why more realtors, attorneys & buyers turn to Fairway for all their residential mortgage needs. Currently, the 5th largest mortgage lender in the country and climbing, Fairway ranked #2 Nationally by J.D. Powers in Customer Service. 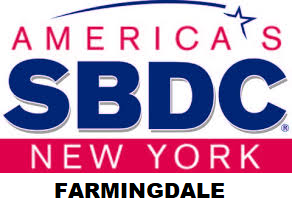 I am a NYS Licensed Real Estate Broker assisting those Buying or Selling Residential Properties, Small Commercial Properties & assistance with Rental Properties. Expertise includes: First Time Home Buyers, Empty Nesters. Boomers & Seniors downsizing in transition to a new residence to Age & Thrive in Place. I offer guidance and resources to assist in making a move. At TD Bank, we’re committed to building long-term relationships with our business Customers. We offer a wide range of best in class products and services that help our Customers save money and eliminate the hassles so they can focus on running their business. From start-ups to mature businesses no matter the size of the business, we are committed to helping their business grow. Universal Abilities is a NYSED, BPSS approved and licensed online school for entrepreneurship training. We primarily focus on the training of persons with disabilities as well as women. We are also a free employment agency providing workers with disabilities. 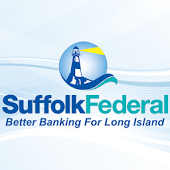 We have been a vital part of the Suffolk community, offering programs designed to meet the emerging regional needs. Whether you need a Conference Room for a presentation, or a lab for a training session, our rooms feature various multimedia capabilities that are perfect for your needs. Habitat for Humanity of Suffolk County is a non-profit organization that builds single family homes for low to moderate income families in Suffolk County. 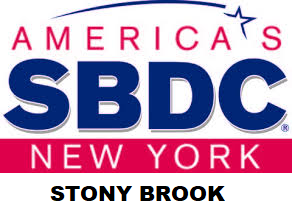 Free and confidential Small business counseling under New York State and the SBA. SFCU is a non-for profit full service financial institution. 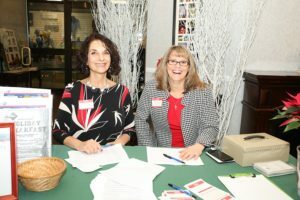 We specialize in meeting our member needs with both their personal financial needs as well as their business finances. We focus on our members and what is best for them.